Persistent deciduous canine teeth should be carefully extracted to avoid the development of malocclusions, entrapment of debris and periodontal disease. If the procedure is not performed meticulously, root fragments may be retained and cause complications for the patient. Local infection may affect the secondary developing tooth. Fractured upper right deciduous canine. This puppy fractured its upper right canine and the owners were told "not to worry as it will fall out eventually". In reality, a fractured baby tooth can become infected as in this case. 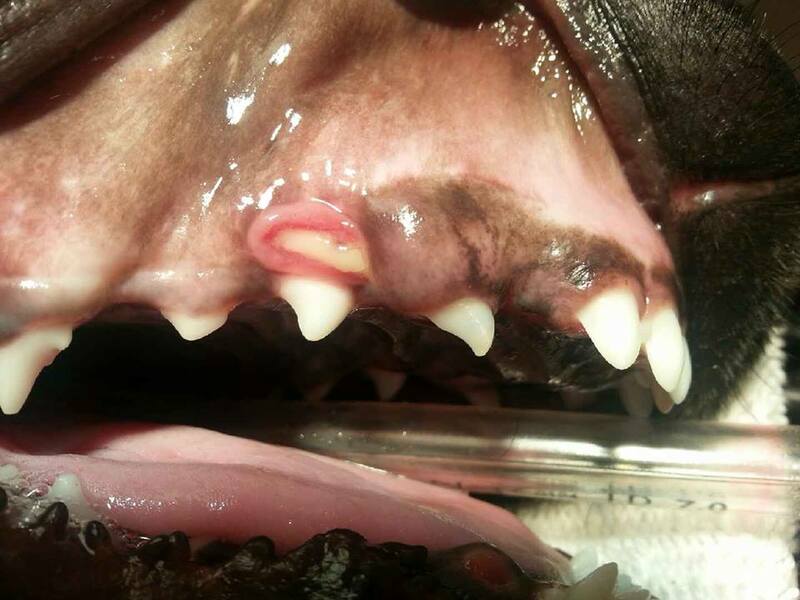 Here we can see the fractured deciduous canine and infection has caused a fistula exposing the root of the primary tooth. Treatment involved removing the fractured tooth, debridement of the infected tissue and suturing close. Dental x-rays are very important in diagnosis and treatment of deciduous teeth. Dental x-rays ensure that there is no pathology to the permanent, unerupted teeth, and that complete removal of the deciduous tooth has occurred. 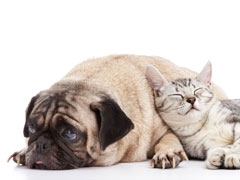 The smaller deciduous canine is easily fractured The smaller deciduous canine was extracted. during extraction due to the thin dentin walls.